High-income women (those with an annual household income of $150,000 or more) demonstrate a high-level of sophistication in their giving by seeking expert advice. High-income women are more likely to use innovative giving vehicles such as donor-advised funds and charitable remainder trusts. 16 percent of high-income women have or use a donor-advised fund, charitable remainder trust, or private foundation, versus 10 percent of high income men. In 2008, 7 percent of high-income women made charitable gifts using securities, versus 3 percent of high-income men. While both men and women make solid planned giving prospects, the simple fact is that nonprofit organizations ignore female prospects, or the wives of their male prospects, at their own peril. Over time, as women continue to earn more money and own more businesses, their importance as planned giving prospects will only become greater. To focus on only the men in terms planned giving is not only pure folly but down right disrespectful, and I’ve shouted about this until I’m blue in the face. By the way, if memory serves, there was a study done about 10 – 12 years ago that indicated that women control roughly 70% of the wealth in the world. I wonder what that number is like today? For me, the real question has always been how does one engage the wife or significant other when the meeting begins, and she says, “Well, I’ll go and leave you two alone…”? And not to belabor the issue with “war stories”; I clearly remember the time when after engaging on a number of occasions with the spouse, who, already was suspicious of my institutions motives, a certain president of a certain college stopped by to say hello to the husband and wife at a basketball game. The husband, the alumnus, excused himself briefly to say hello to an old friend. Following a bit of small talk, the wife raised what I thought was a very intelligent question regarding the management at the institution, to which the (my) president smiled and said “Ah, for the days when men made all the important decisions about money”, shook the lady’s hand, said good-bye and walked away. Well, the spouse in question became furious, no further discussions or meetings regarding planned giving were ever held, and I wanted to kill myself. Enough said, but once again, a great article Michael. Finally, I thank you for your kind words about my article. Michael M. – great set of comments! Dealing with the spouse who excuses herself: Suggest at the time you are booking the meeting that you and the donor choose a time when both partners are available and mention right from there that it is important that the wife be present in the room for your conversation. War Story – Oh My Goodness! Can’t believe that actually happened! I hope that couple did in fact decide to walk away as donors from that institution – talk about the antithesis of everything donor engagement and accountability should be about! My own husband probably has some stories to tell when it comes to having a wife that makes the bulk of the philanthropic decisions in the household… I manage the budget and the taxes at the end of the year for the family and I usually end up deciding what we’re going to support! Thanks for a great blog post, Michael R.! Christina, thanks for your comments, additional insight, and advice! Margaret May Damen, CAP, CFP, CLU. Margaret, thank you for taking the time to comment. I’m honored to have the benefit of your expert insight. Anyone interested in learning more about the role of women in philanthropy should be sure to pick-up a copy of your book Women, Wealth and Giving: The Virtuous Legacy of the Boom Generation which you co-authored with Niki Nicastro McCuistion. Good article. I’d also be interested in knowing the statistics on how many women and women-run projects and organizations receive support from donors as opposed to men. Is there a perceived higher value in giving to men, even if women are making the decisions about where and who to support? Alice, you’ve asked a very interesting question. However, I don’t know of any research that answers your question. Perhaps someone else can point us in the right direction. On the other hand, I do know that, in the political world, men tend to support male candidates and women tend to support male candidates. In the political world, there is a definite anti-woman bias among both men and women in terms of both dollars and votes. So, I’d definitely be interested to learn if the same bias exists among nonprofit organizations. Denise, thanks for sharing your thoughts. 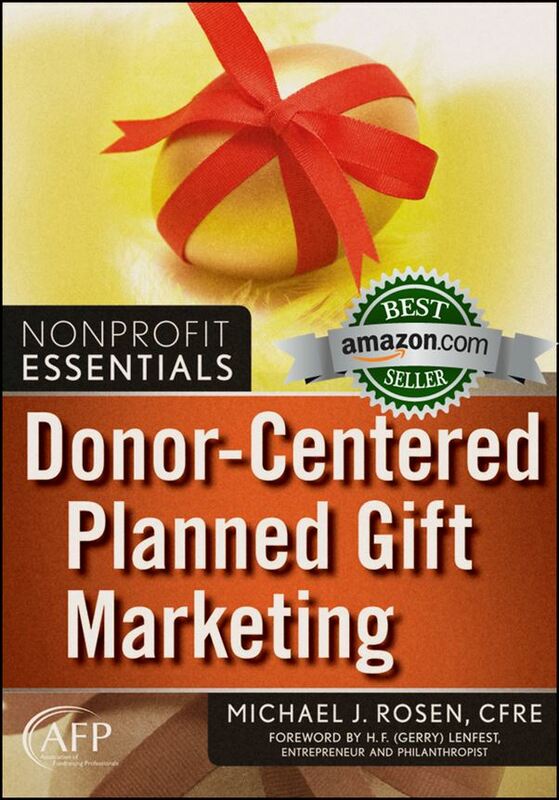 I suspect you’re correct and that the person who is most likely to make a planned gift is the one who is most philanthropic. I also suspect, when it comes to gender, that it is also an issue of who lives the longest; the surviving spouse is the one most likely to make a charitable bequest gift. By the way, in case you haven’t yet read it, my current post is about a new scientific study that used brain scans to explore bequest giving behavior. You can find “Breaking News: Brain Scan Study Gives Fresh Insight into Charitable Giving Behavior” at http://wp.me/p1h0KY-dJ.